This entry was posted in Uncategorized and tagged 450. 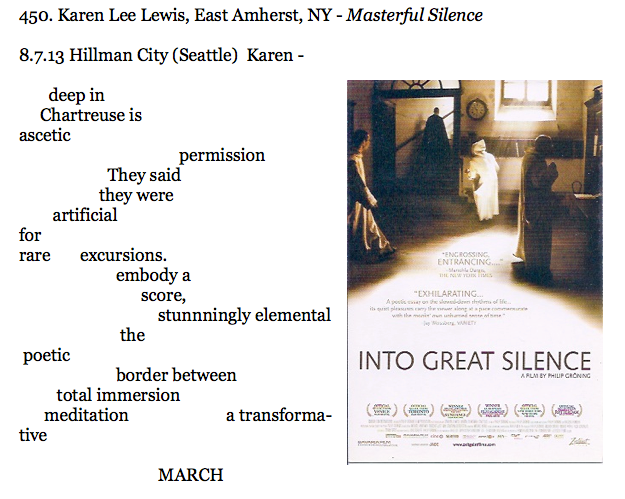 Karen Lee Lewis, August Poetry Postcard Poem, East Amherst New York, Into Great Silence. Bookmark the permalink.